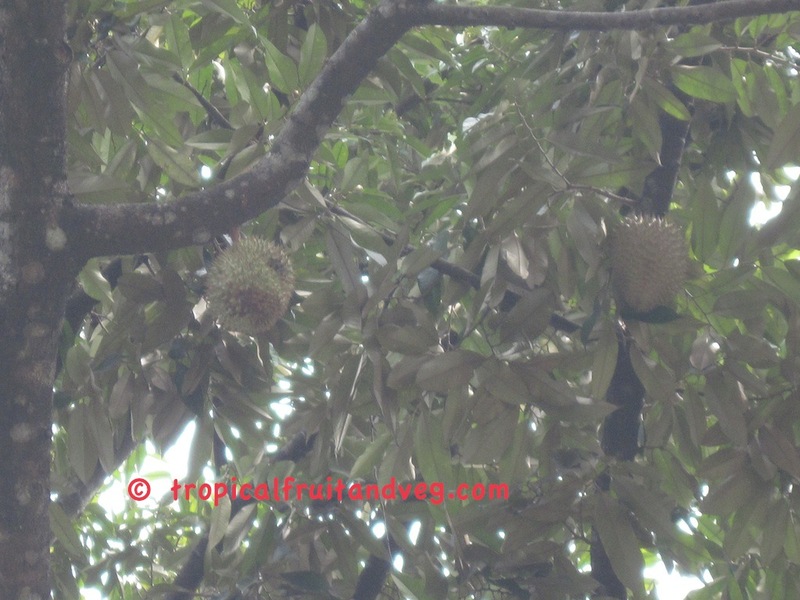 The durian tree can grow to 40 m in height in tropical forests It is erect with short, straight, rough, peeling trunk up to 1.2 m in diameter, and irregular dense or open crown of rough branches, and thin branchlets coated with coppery or graey scales when young. The evergreen, alternate leaves are oblong or elliptic, rounded at the base, abruptly pointed at the apex; leathery, dark-green and glossy above, silvery or pale-yellow, and densely covered with grey or reddish-brown, hairy scales on the underside.The fruits are ovoid to nearly round up to 30 cm long, 15 cm wide, and up to 8 kg in weight. 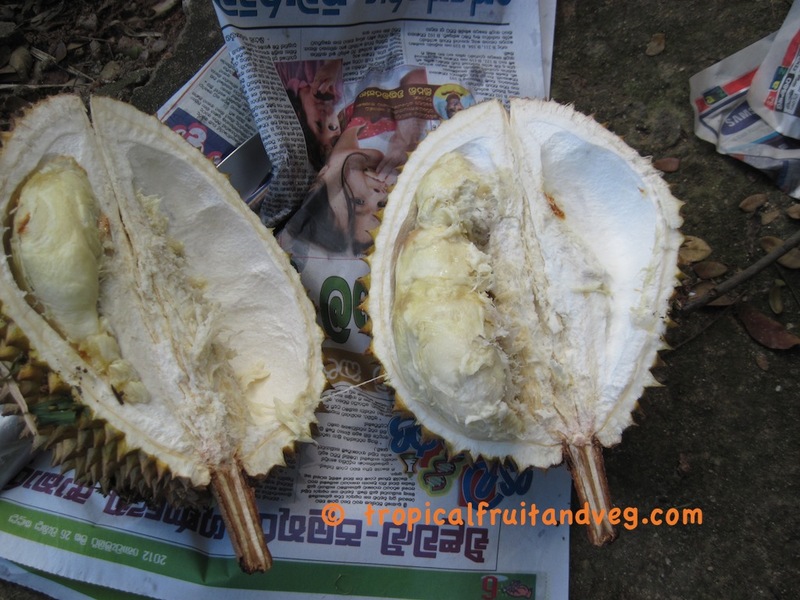 The yellow or yellowish-green rind is thick, tough, semi-woody, and densely set with stout, sharply pointed spines. Handling without gloves can be painful. 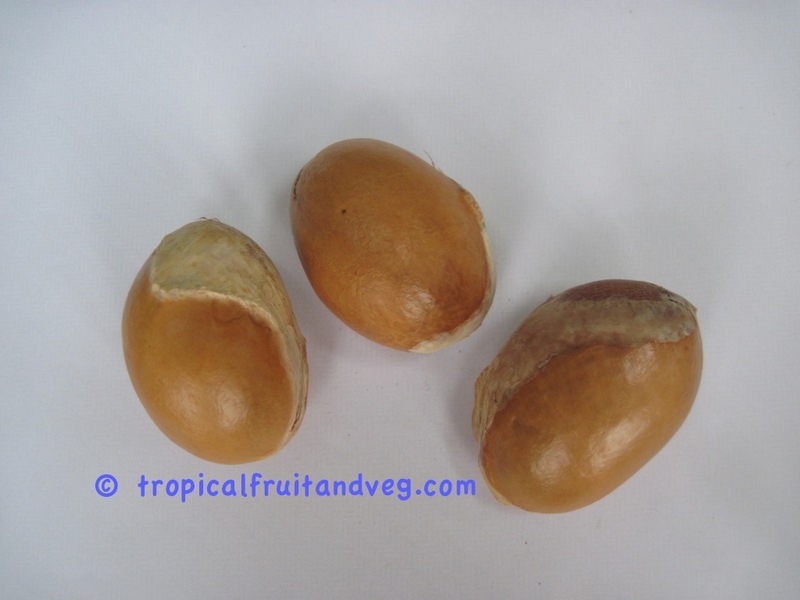 Inside there are 5 compartments containing the creamy-white, yellowish, pinkish or orange-coloured flesh and 1 to 7 chestnut-like seeds 2-6 cm long. 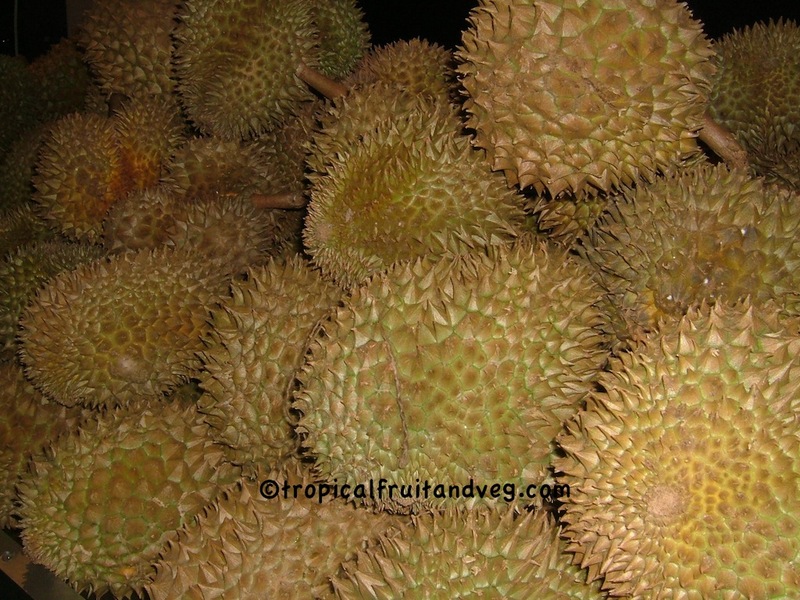 The durian is ultra-tropical and needs abundant rainfall. Best growth is achieved on deep alluvial or loamy soil.